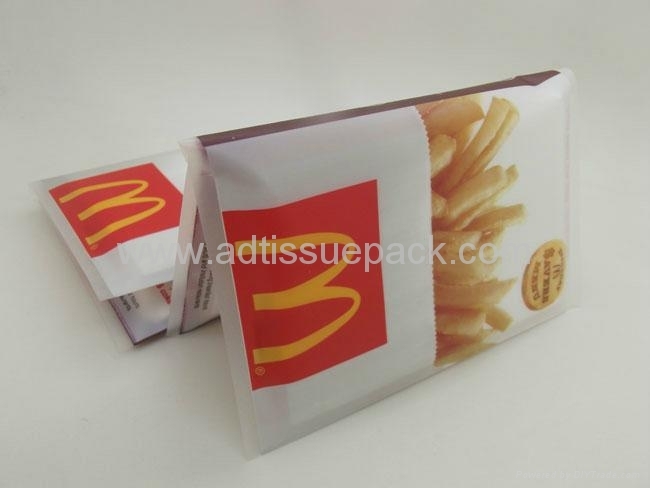 Tissue package material: composite material,environmental-friendly,there are glossy surface,matt surface for option. 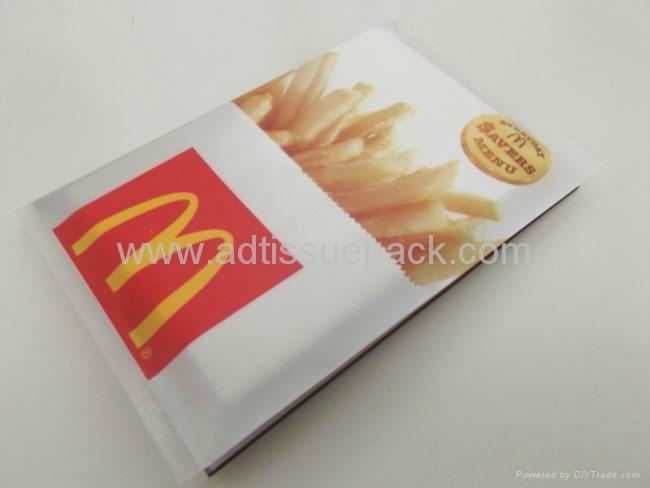 Packing:500packs/ctn(bulk pack),or 25packs in a transparent PE bag,20PE bags/ctn(500packs in total), or any other packing method as per client's requirement. 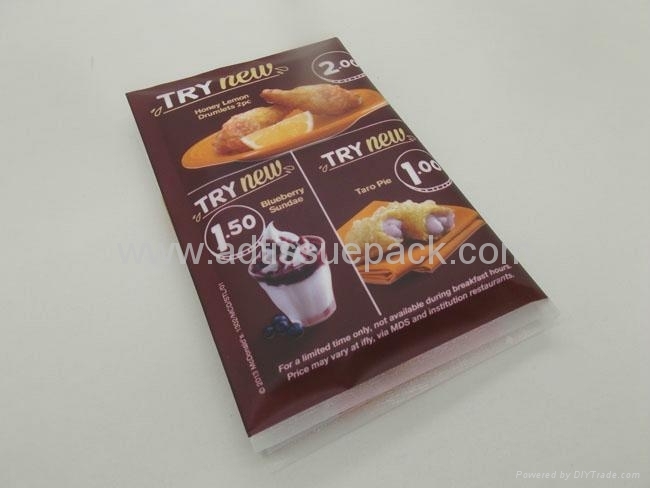 Why choose wallet tissue pack? 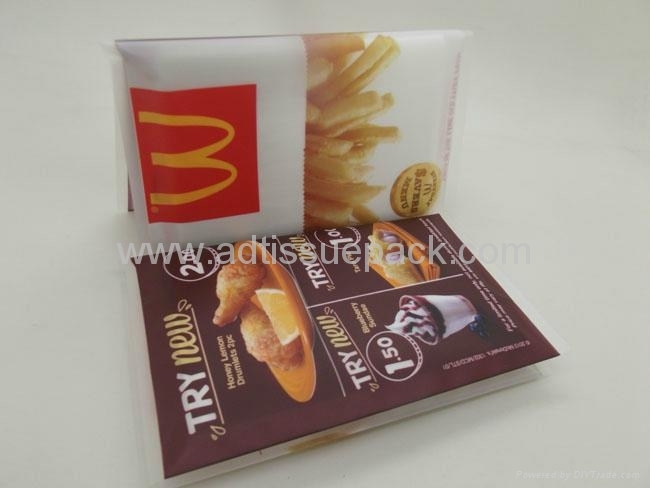 1. wallet type tissue pack is the cheapest way to post your AD. a lot of companies send out flyers with their AD,but few of these companies would be remembered, cos most of people would not keep useless paper,but people will always keep a tissue pack. 3. big space for printing.